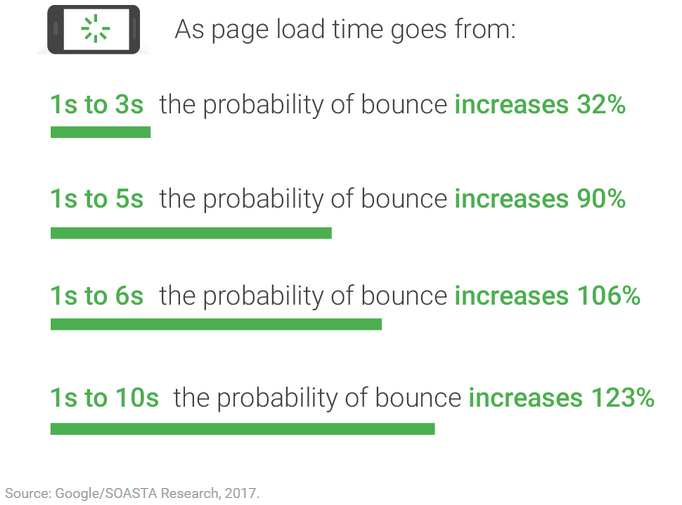 Google released some new stats related to mobile page speed and how it impacts bounce rate as the time to load the page increases. 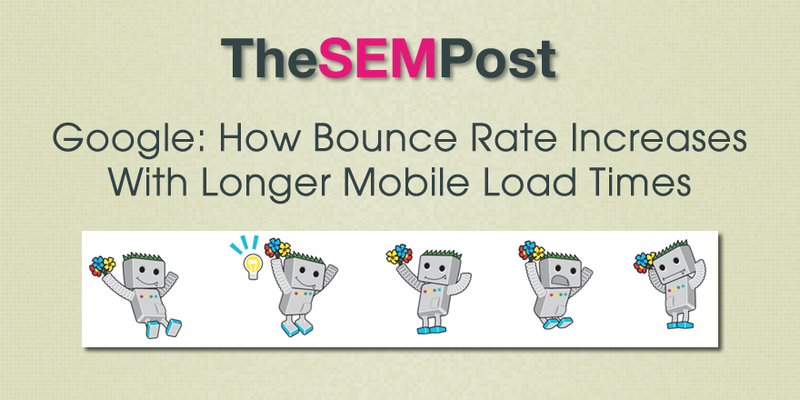 We have heard many Googlers talk over the years about how an increased load time leads to increased bounce rate, and this new data is based on a January 2017 analysis of 900,000 mobile ad landing pages. Google’s Think With Google released a paper detailing their findings on page speed, load times and bounce rate. And they used a deep neural network to do it. It is worth noting that their benchmark load time is one second. While Google tends to not talk specifics about load time other than sites should be fast, one second seems to be the speed to aim for. This study was conducted on advertiser’s mobile landing page, so there is a huge amount of traffic loss advertisers are experiencing post-click simply because their page speeds are so slow. In fact, for 70% of the pages that Google analyzed, it took 7 seconds for the content visible on the mobile screen to load. One other noteworthy thing is that this report does not make specific mention of AMP at all, which is unusual since it is a recommended way to serve a fast and lightweight version of the page to visitors.